Gerald M. Davis is the Republican challenger in Senate District 11, encompassing Cumberland, Chebeague Island, Falmouth, Gray, Long Island, North Yarmouth and Yarmouth. Sen. Karl Turner, a Republican, is stepping down due to term limits. 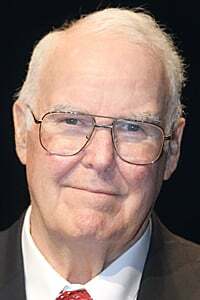 Davis served in the Legislature as state representative for Falmouth and part of Cumberland from 1998-2006. He taught history at Portland High School for 36 years. For most of that time, he coached a variety of sports. Davis has a history degree from Bates College and a masters in history and education from University of Southern Maine. As a member of the Peace Corps, he served in the west African nation of Sierra Leone. After a two year hiatus, Davis hopes to the return to the Legislature, this time in the Senate. Davis said he misses helping constituents sort out state government and get the help they need. A retired teacher of 36 years, Davis said he would like to lessen the emphasis on testing in Maine schools. “I’d like to see an emphasis on reading, thinking and analyzing. It’s kind of taken a backseat to testing,” he said. Most of all, if elected, Davis would like to concentrate on property tax reform and relief, which he said is needed in Maine. “We can’t rely totally on property taxes to keep local schools going,” he said. Davis would like to the state to continue to use the Homestead Exemption and Circuit Breaker programs to lessen the impact of property taxes on residents. Davis will be voting to abolish the so-called beverage tax, which appears as a referendum question on the Nov. 4 ballot. The plan, passed by the Legislature, adds a tax to some beverages, with the proceeds going to the state’s Dirigo Health program. Davis said the tax hurts small store owners too much. He would like to lower barriers to competition in Maine’s health insurance industry by allowing residents to buy policies outside the state. That would help to lower costs, he said.